Explore a real human genome. Find out about possible health implications. View reports about important genetic variations. The MyGenome app provides a simple, intuitive, and educational interface to get you started on your journey of genome discovery and learning. In the MyGenome app you’ll see The actual genome sequence of former Illumina Jay Flatley (donated for educational purposes) variety of toolsGenome Map, Health Cards, and Clinical Reports for accessing the wealth of information contained in the genome video journey for visualizing the genome Key Features Genome Map Tour the landscape of chromosomes and see how genetic variants in different locations translate into health impacts Visualize where and how genome sequences differ from the “reference” human genome View known genetic variations in the human genome and understand how much more we have to learn Health Cards Explore disease risks, genetically determined conditions and predispositions, and carrier traits Discover how different genetic variants contribute to health risks and how they can be passed to our children Find out how changes in the genome may impact our response to drug and other therapeutic treatments Reports Investigate possible health impacts of genetic variants for 1232 clinical conditions See reports that illustrate how genetic information will likely be delivered in the future Learn how genetic information can be used by medical professionals Interested in viewing your own genome? Through the Illumina Individual Genome Sequencing service, you and your physician can request the genome sequencing test and then download the results so you can explore your own genome. To learn more, visit www.everygenome.com. 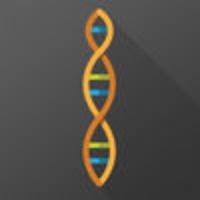 Check these links to find your download for MyGenome for & iOS or for your device iPad. The app MyGenome is compatible with te following devices.